According to a recent National Student Clearinghouse report, only 40 percent of college students finish their degree from start to finish while another 30 percent drop out. Getting a college education has lifelong benefits for your personal life and career. Below explains six different ways that will enhance your educational experience and help you succeed at college. Graduating from high school offers the exhilaration of freedom, but also comes with boredom and monotony. Consider establishing your own personal schedule to keep yourself busy and focused. This will provide structure and help you avoid wasting time. Developing self-discipline through holding yourself accountable will greatly improve your educational experience. In addition to this, it will help you practice how to manage your time and prioritize tasks. While most high school graduates understandably need a break from school, consider continuing your education during the time before college starts. Local libraries offer an excellent environment to continue studying. For example, if you struggle with math or science, schedule time every week to visit your library so you can continue to learn on your own. The time to improve your math skills is when you are free every day of the week, not when you are overloaded with difficult courses and have limited free time. Regularly visiting the library will help you prepare for difficult, future courses. An internship is an excellent way to gain valuable work experience while studying at the same time. For example, many companies offer internships that allow students to work while earning money and college credits at the same time. This is a much better solution that simply working random, multiple part-time jobs with poor pay and stability. Many students fresh out of high school either procrastinate or rush off to college to study a hastily chosen major. Both of these choices aren’t as good as simply taking some time off to explore your options. An excellent way to experience life, while exploring the world, is through a short term international program. Consider taking a 3 to 6 month study, volunteer or take an intensive language program in a foreign country. This rewarding experience will help you mature and expand your horizons. If going abroad to a foreign country isn’t feasible, consider volunteering in your local community. One of the obstacles that new students face is the lack of life experience and maturity. Most companies avoid hiring college students who will be heading off to college in a few months because turnover costs them money. Therefore, consider volunteering in your local community. It will look good on a resume, give you valuable experience and help you become more responsible. 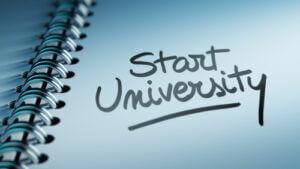 College is a rewarding experience, but can also be stressful and difficult. Many new college students struggle with balancing multiple classes while adjusting to college life. Consider taking care of any medical problems and establishing healthy habits before you head off to college. For example, start exercising, eating healthy and set a regular routine. Consider taking care of minor medical issues, such as minor surgery or getting Lasik surgery. In fact, getting Lasik surgery is an excellent opportunity to get rid of glasses and change your image before you enter college. Even better, it is safe, painless and will only take about one hour of your time. There are many proven ways to enhance your college experience. You can set your own schedule and study difficult subjects now. An internship, going abroad and volunteering are all excellent options. It’s also important to improve your health and take care of any minor medical issues before you go to college. Bio: Rachelle Wilber is a freelance writer living in the San Diego, California area. She graduated from San Diego State University with her Bachelor’s Degree in Journalism and Media Studies. She tries to find an interest in all topics and themes, which prompts her writing. When she isn’t on her porch writing in the sun, you can find her shopping, at the beach, or at the gym. Follow her on twitter: @RachelleWilber. Sources: VolunteerMatch, GoAbroad, and LASIK.